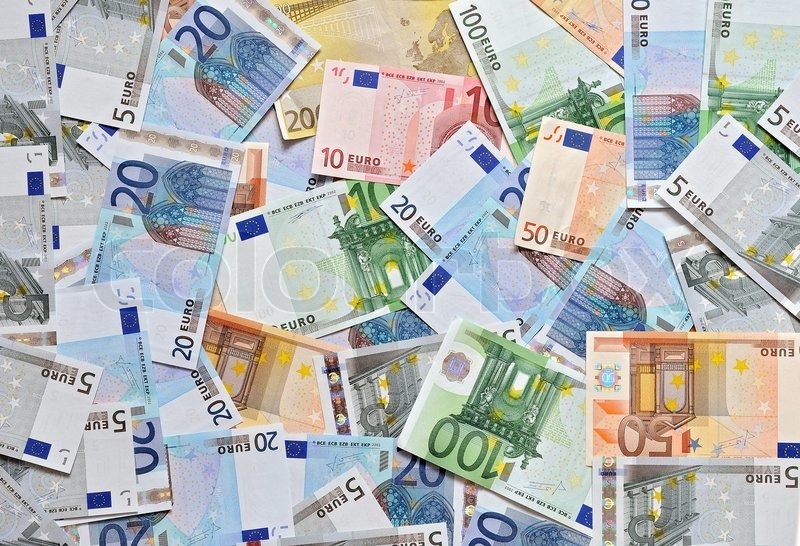 Buy Euros Now Even If You Don’t Need Them – Why Am I Not There? Back in February, I was planning out my month-long visit to London. I went to my bank’s website to stock up on pounds when I noticed how low the Euro was trading. It was around 1.09 from the base price of 1.05 per U.S. dollar. That’s insanity! It eventually went lower than that. I went on social media and told everyone to buy Euros now, even if you they were not planning on going to the European Union. You don’t need to buy €500 worth — hundred now, and a hundred the next paycheck. Put them in a sock drawer, safety deposit box, a home safe or anywhere you keep your passport. They’ll still be good years from now. That’s one thing to check off your to-do list early when packing and planning. If it goes back up to 1.30 or 1.40, you can have a hearty laugh at all the money you saved. To give you some evidence, check out this chart I generated from xe.com. It’s the exchange rate of $1 over the past year. The rate is inching close to the February low of 1.04. That .05 difference isn’t going to make much of a difference so order some currency this week. 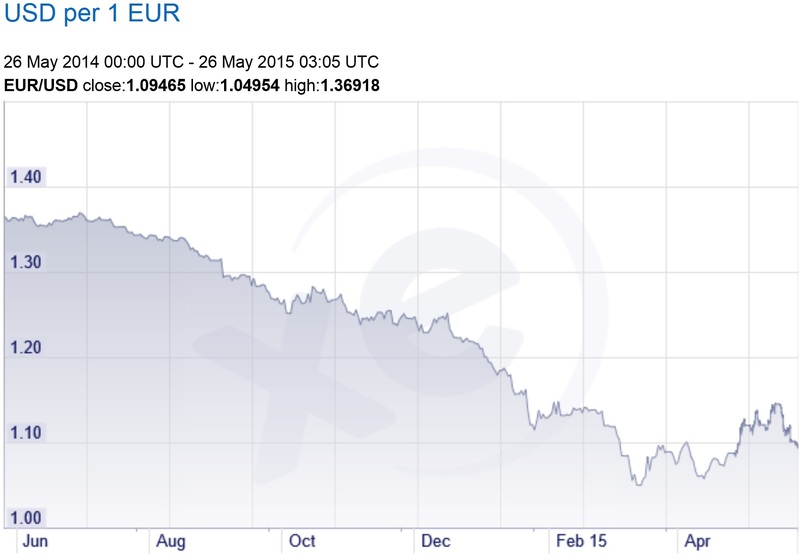 The Euro is always a pretty looking note. In terms of ordering, I’ve always gone through my bank. The mark-up is on par with what AAA will offer you, but the bank will have the added convenience of taking directly from your checking or savings account. There’s no need to take a hunk of money just to give to a AAA window and wait behind some doofus ordering Six Flags tickets. Also, there are more locations of your bank than AAA offices. For me, it’s all about simplicity. I’ve read plenty of articles of currency exchange when it’s just easiest to go via your bank. Mine charges $7.95 to ship to a bank branch of your choice. It comes the following day or the day after that. You go the teller, you sign a receipt, they count it in front of you and you can be on your way. Ahh I wish I understood this whole money exchange thing more >< I'm in Vietnam and VND keeps changing to the Dollar (US) it's very confusing!